Anti-social behaviour (ASB) is activity which impacts on other people in a negative way. It can include a variety of behaviours covering a whole range of unacceptable activity that can blight the quality of life for individuals, families and communities. Anti-social behaviour is most often defined as behaviour which causes or is likely to cause harassment, alarm or distress to one or more people not from the same household as the person responsible (the perpetrator). If allowed to continue unchallenged, hte effects for individuals and communities can be devastating. The Anti Social Behaviour, Crime and Policing Act provides a community trigger which when it came into force in October 2014 will give victims and communities the right to demand that anti-social behaviour is dealt with. 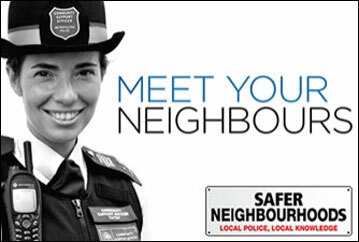 Our Community Safety Hub is staffed by Council ASB Officers, Police Officers and Neighbourhood Enforcement Officers. Together they tackle the most severe cases of anti-social behaviour helping to protect vulnerable victims and communities from harm that impacts on their quality of life. Each Month, we identify where the hotspots of anti-social behaviour are occurring in the city and we either support local Housing Managers and Neighbourhood Policing teams to address the issues or, where the level is severe, we established a multi-agency problem solving group to work together in that location.